Brand new single-level home in La Pine’s peaceful Wheeler Park neighborhood! The home’s open great room concept affords ample natural light. Enjoy morning coffee on the spacious front porch overlooking Finely Butte Park, relax by the great room’s gas fireplace or entertain guests in the fully fenced & landscaped backyard. Kitchen features designer quartz countertops, a large island w/breakfast bar, pantry & stainless appliances! Master bedroom features vaulted ceilings, walk-in closet & double vanity! This home has so much to offer! Photos are of previously completed home, similar floor plan. 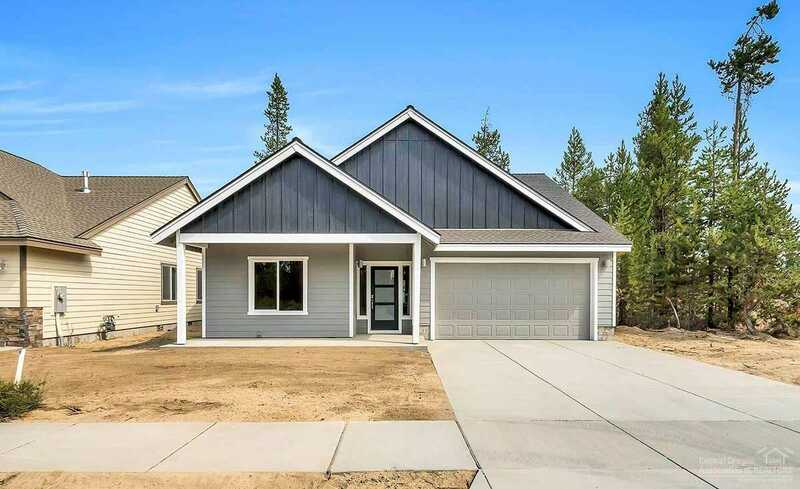 Please, send me more information on this property: MLS# 201902182 – $274,900 – 51352 Wheeler Road, La Pine, OR 97739.